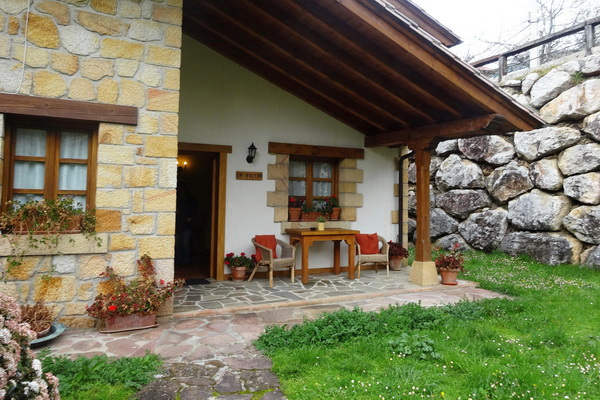 This attractive, rural complex, built in stone and wood, in keeping with the architectural style of the region, houses six, practical, very well maintained apartments of varying sizes, all with their own entrance and sitting out area. 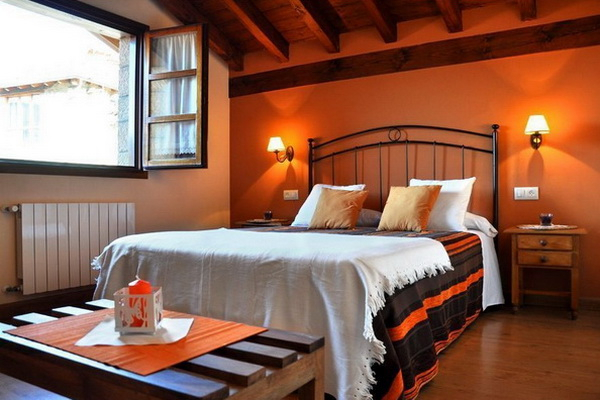 We offer the apartments sleeping two and four people. 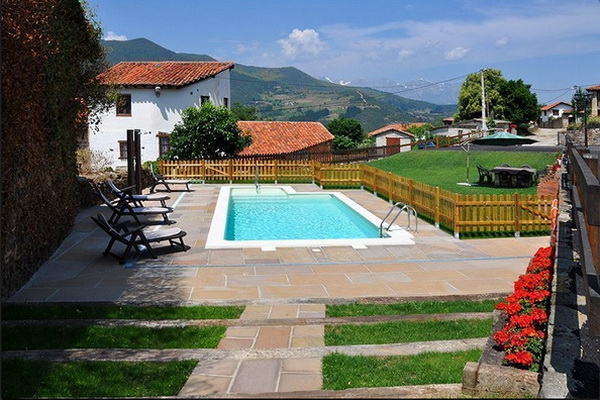 Sharing a good sized swimming pool in the grounds with a BBQ area alongside, they are in the pretty farming village of Lerones, fifteen kilometres from the market town of Potes. 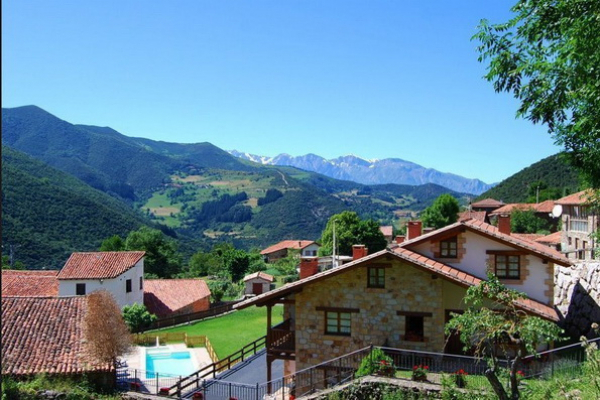 In delightful countryside with splendid views of the Picos de Europa, a variety of wonderful walks and mountain biking routes start on your doorstep. 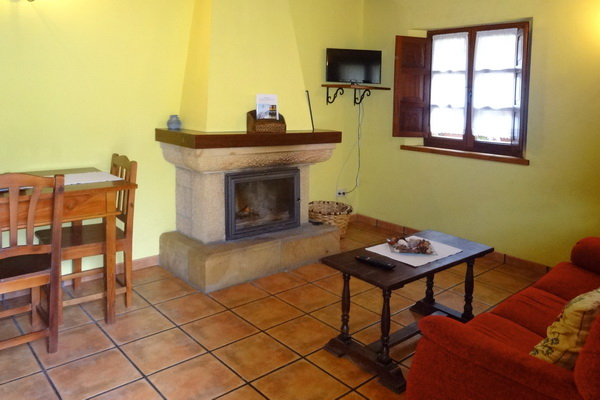 All the apartments have two or three floors with a living room with an open fireplace, an equipped kitchen with a washing machine, a bathroom with a hydro-massage shower unit, central heating, T.V. and WIFI. 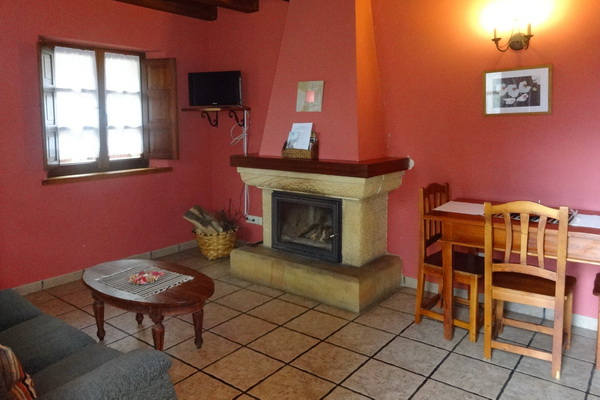 There is a private car park and a reception area with useful information about the area. 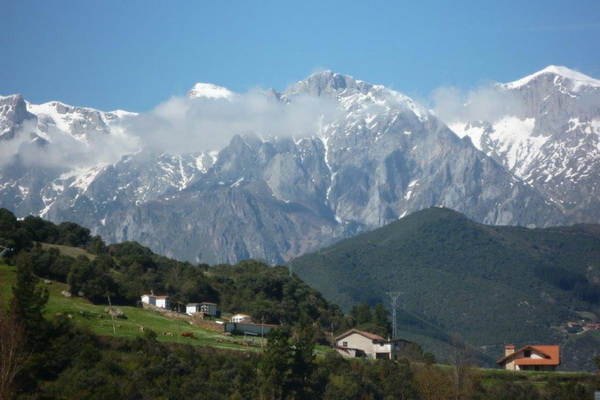 Mountain bikes can be hired and the owners can help you to arrange horse-riding and quad hire. Private car park, belonging to the complex. Reception area. Shared grounds with shared swimming pool and BBQ area. 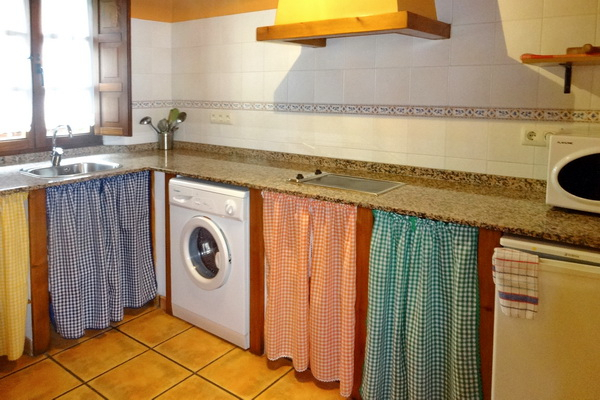 Apartments La Bolera and La Fragua: For two people: These are at the back of the complex. They have their own bit of garden and patio and are reasonably private. Living room and open plan kitchen on ground floor. 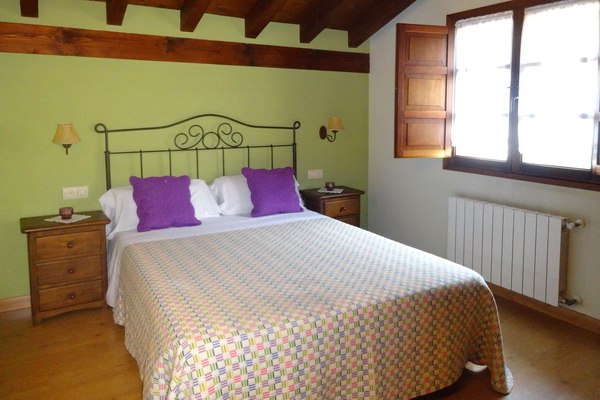 Double bedroom and bathroom on first floor. 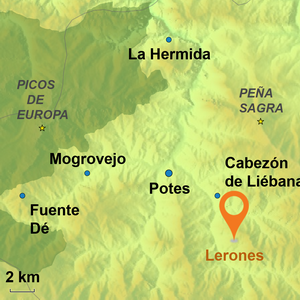 Lerones is a small, pretty, farming village in the mountains in the valley of Liebana, backed by the dramatic Sierra de Pena Sagra, between the market town of Potes and the Piedras Luengas pass. Though there are no facilities here, there is a hotel and so it has some touristic activity. 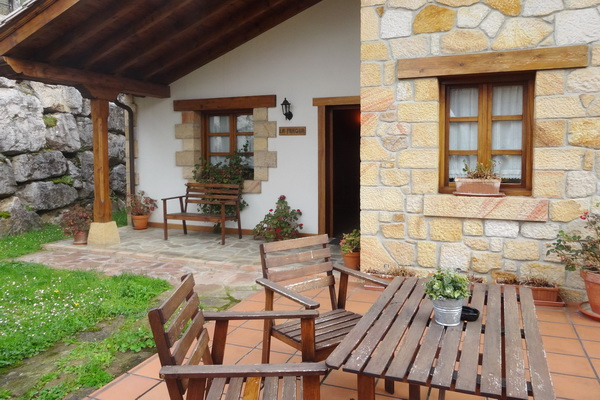 There are two bars with good restaurants in Pesaguero at three kilometres and an excellent bakery and bar/shop at Puente Asnil at eight kilometres. 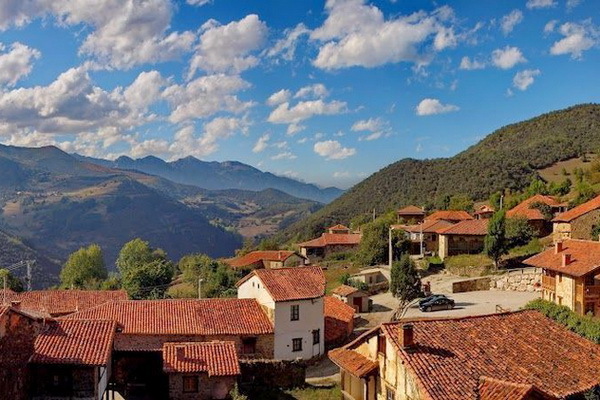 Potes, with all you need, is a twenty minute drive. Walking, bird watching, nature. There is a permanent exhibition of the flora and fauna of the area at La Casa de la Naturaleza in the nearby village of Pesaguero. 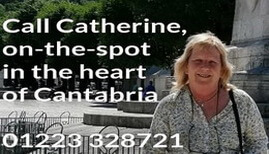 They also organise guided and self guided walks. 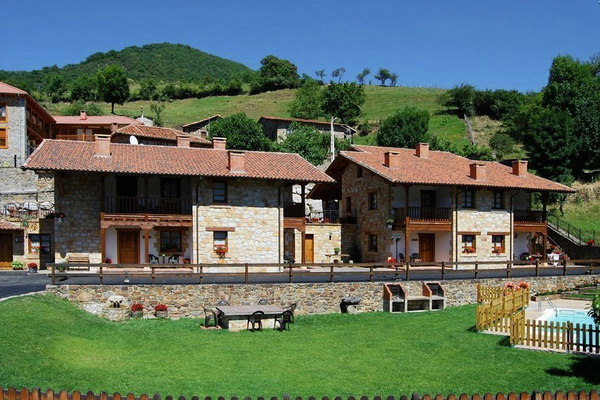 Take the scenic route to Aguilar de Campoo on the Palencia road. 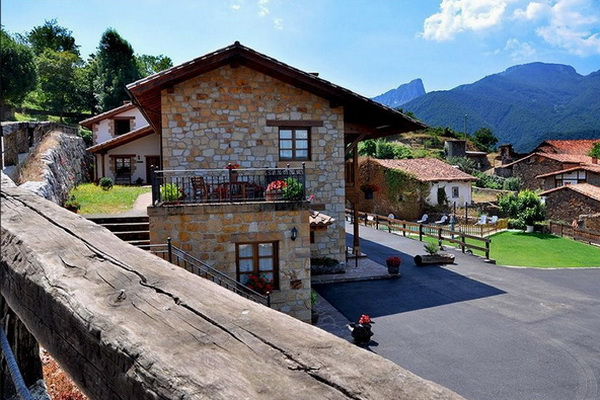 Drive via Piedrasluengas to Polaciones and Tudanca and visit the museum of Jose Maria de Cossio, a famous writer.